Welcome to my very first book to movie adaptation comparison! Instead of going for some really popular book or movie, I've decided to start off with oldie, but goodie. 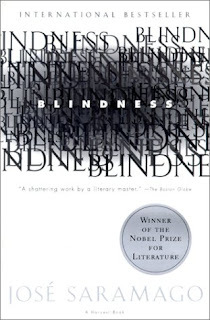 The book I've chosen for today is "Blindness" by Jose Saramago. The story was easy to follow, very believable and really well-written. There was not much of a character development, but there was a lot going on in the book, so that didn't bother me at all. Everything was fast-paced, at the same time thought-provoking and really philosophical. 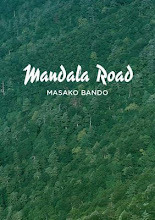 In the end I gave this book a 4 star rating on Goodreads, which is really surprising, since I did not have high expectations about this novel. Now, about the movie. It came out in 2008, so it's relatively new. It stars two really talanted actors - Julianne Moore and Mark Ruffalo, and I expected a lot from them. Sadly, the movie fell absolutely flat for me. Everything felt really rushed and none of the feelings I got from reading the book were there. I guess the actors did the best they could with the plot they were given, but it was not enough. Nothing else can be said about this movie. Don't bother to watch it. It doesn't worth 2 hours of your free time. If you've read the book or watched the movie, don't hesitate to leave a comment with your thoughts! Any suggestions for future book to movie adaptation comparisons are also appreciated! 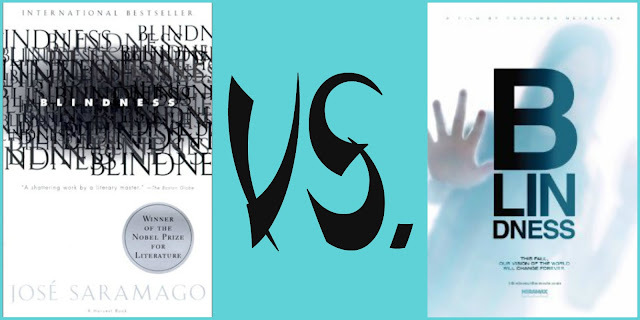 Stay tuned for my next Book VS. Movie blog post, which will be up next week, where I will compare "Let the Right One In" by John Ajvide Lindqvist with its two movie adaptations!